We have all dressed in black clothes, covering everything except our eyes while pretending to be ninjas. 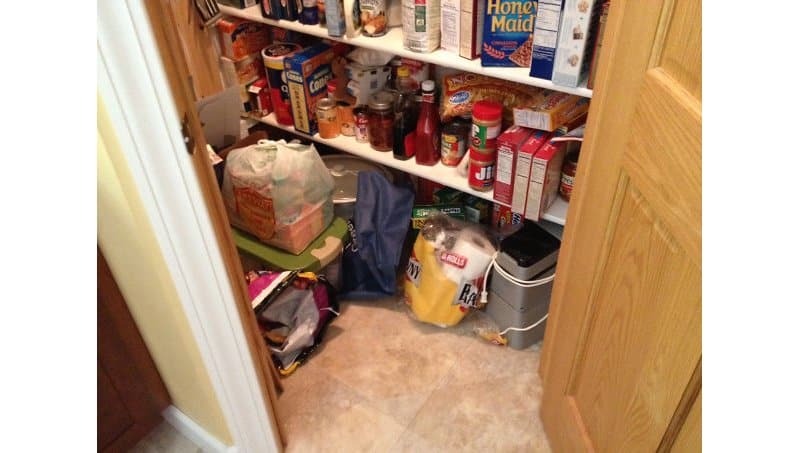 As we have grown up envious of real life ninjas, these cats have taken it upon themselves to train and perfect the art of hiding in plain sight. 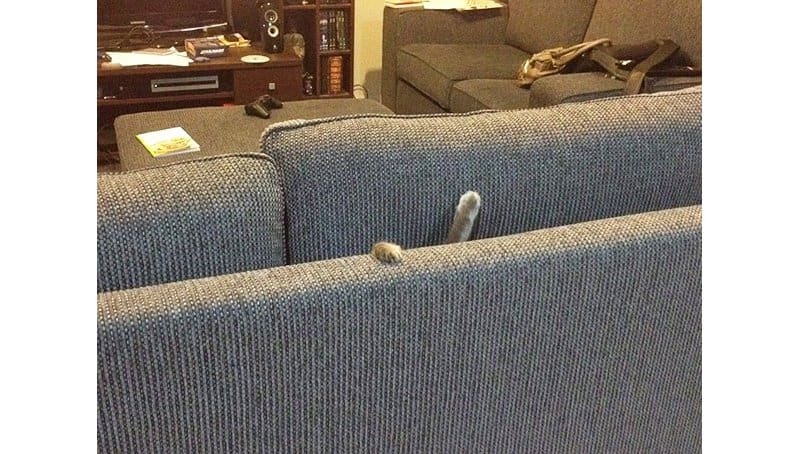 This list of ten awesome cats who thought they were ninjas depicts the very best of the best. These cats are as close to real life ninjas as we will ever come, and we will never even know it until its too late. 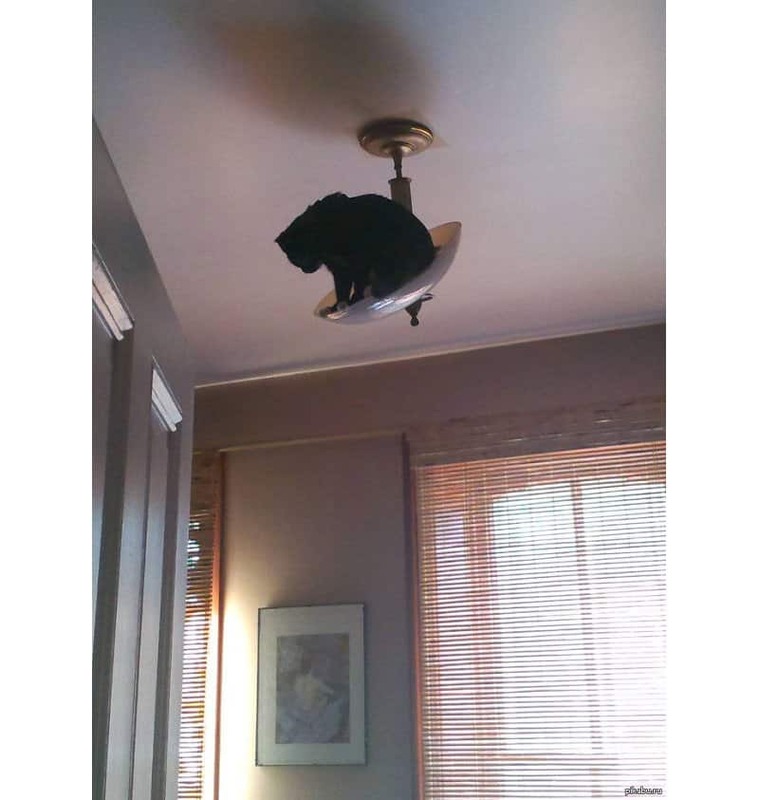 When you try to turn on your lights and there’s a dark shadow looming over the room, you may have a serious case of “ninja cats”. 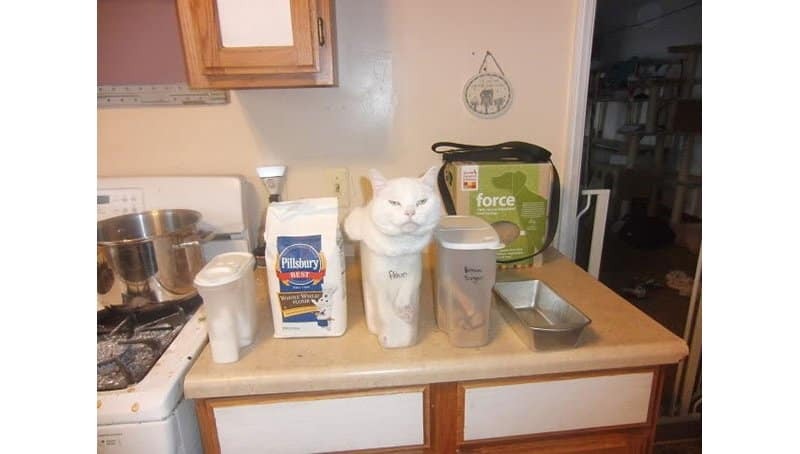 Mittens was always a fan of baking, and as the saying goes, “you are what you eat.” This white cat would easily be mistake for flour until you realize he is eating all the eggs. 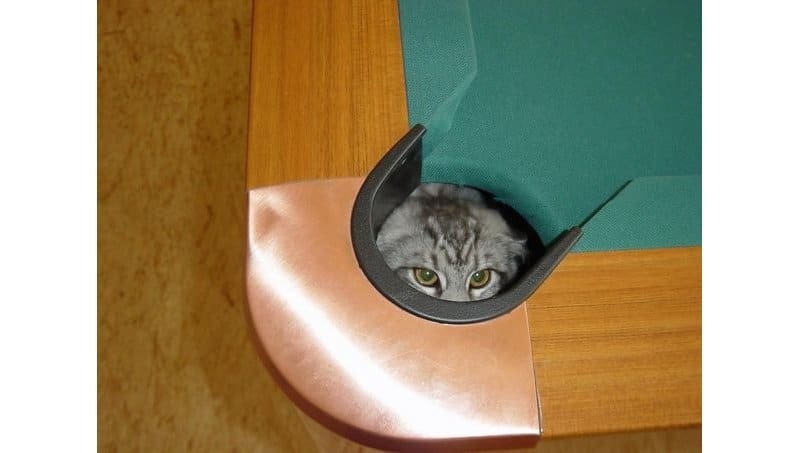 This little feline fiend will ensure that your worst enemies will never sink that 8-ball. 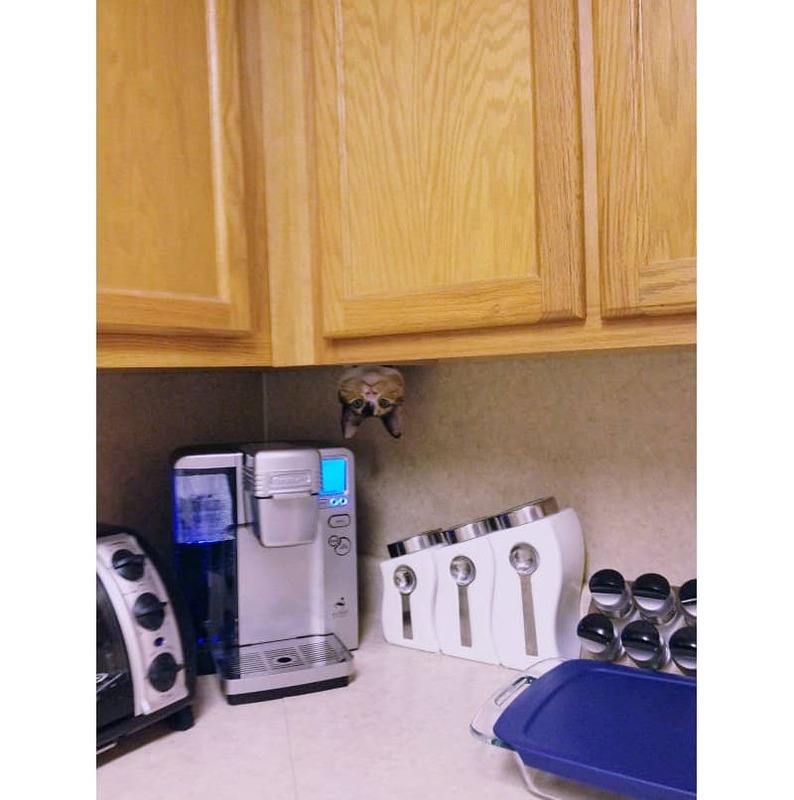 When your cat starts secretly monitoring your coffee intake, you knows its time to cut back. 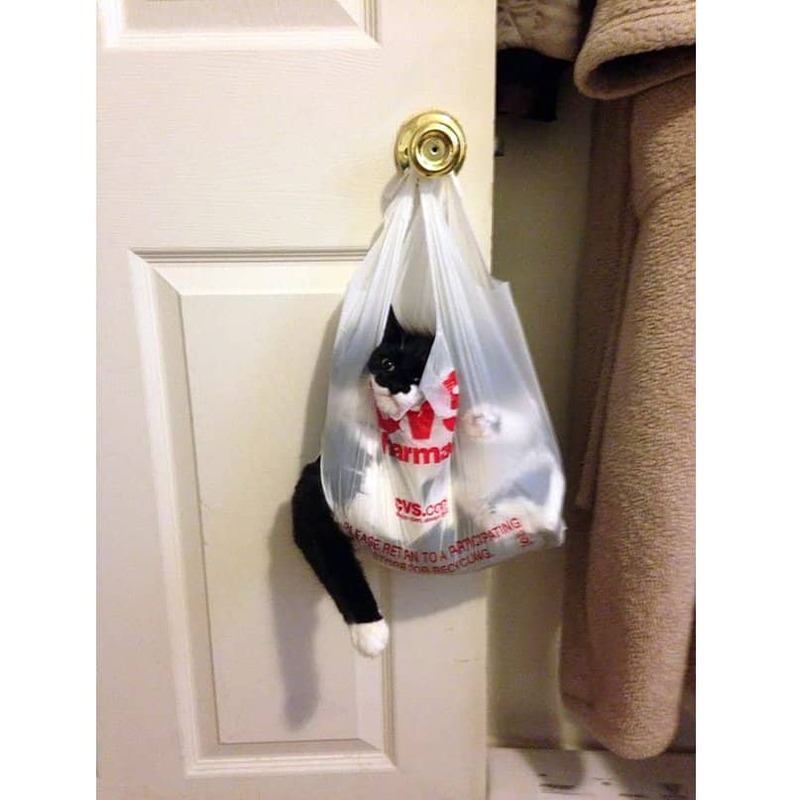 When you reach for another plastic bag from your “bag of bags” and you come away with scratch and bite marks, its time to shake the bag to air out the ninja cats. 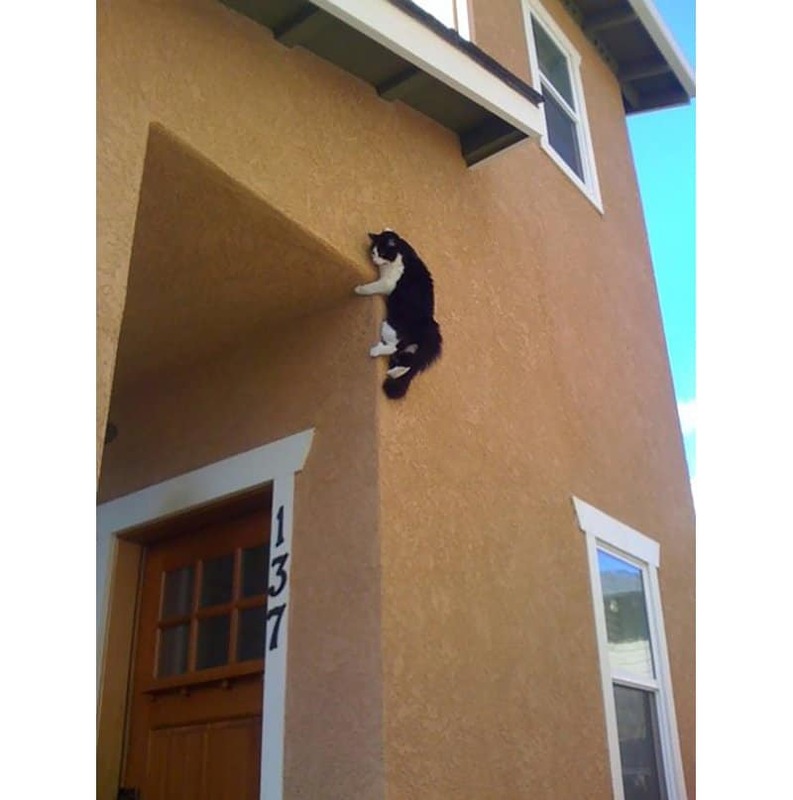 Installing fly screens are the only way to defend against the famed cat burglar, Velcro-Cat. This ninja cat seems to be the most useful one of the bunch. He is the hero that we need although he may not be the hero we deserve right now. Its quite easy to mistake this ninja cat for the scarf you were looking for on a cold day. Although he may destroy your organisational order of your clothes, he does make a great neck warming accessory. 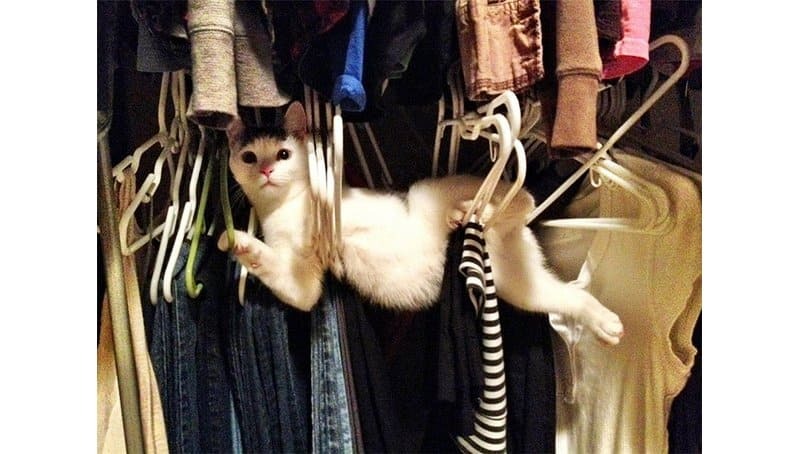 This is not the cat you were looking for. 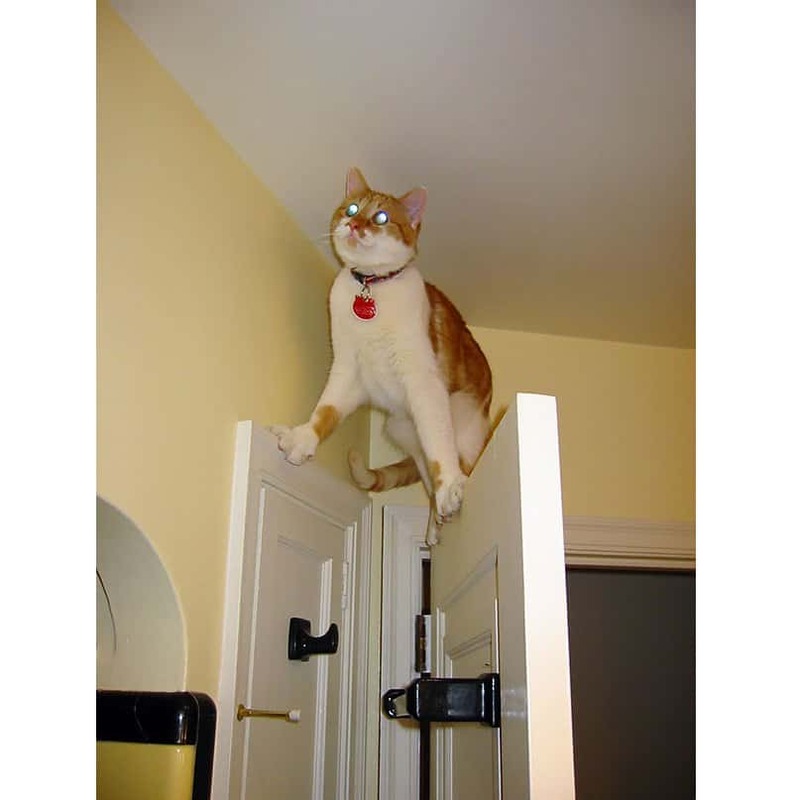 Walking into the room searching for this feline will result in nothing but despair until you are unable to find him hiding above the doorway.